← A revolution is headed my way! Dear Target: We use Charlie Banana cloth diapers during the day for our son, but at night, because he is such a great sleeper, often sleeping 13-14 hours at a time, we use disposable diapers. Pampers are expensive, so a few friends recommended Target brand. At first glance, they seemed OK. Not as solid as Pampers, but we thought they’d do for our limited needs. With my Charcot Marie Tooth disease, I have trouble grasping things and have no strength in my hands roughly from the tip of my finger to the first knuckle with which it intersects. This makes grabbing small items nearly impossible. Small chores such as opening a water bottle, zipping a zipper or tying shoelaces can’t be done without help. But diapers have never been an issue—the Pampers tabs are always big enough for me. The Target ones, however, showed me that it’s not the tabs that make it doable or not, it’s the material underneath the stickiness. The Pampers allow me to adhere the tab on one side, then the other, then go back to readjust. The Target brand diapers don’t have special material under the tabs that make it easy—or in some cases, doable—to adjust the diaper once it has been fastened the first time. The first diaper I used turned into 5 because I kept ripping the material trying to undo it. 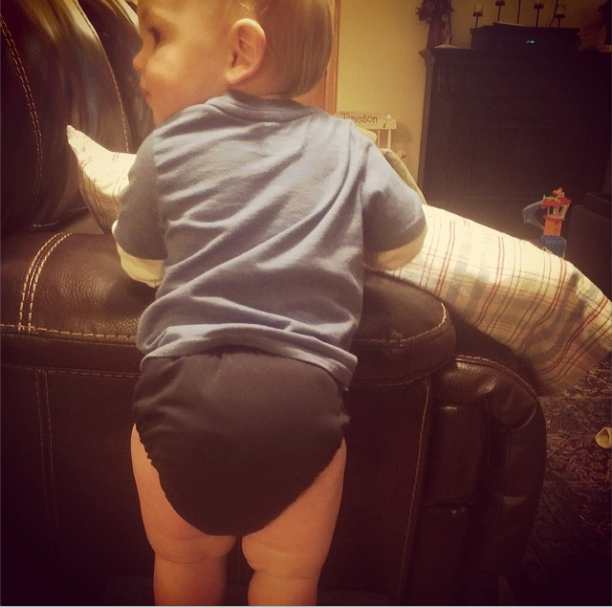 It’s not easy, you know, to change a 14-month-old’s diaper! He squirmed so much, it was nearly impossible to put a disposable on him, so I used cloth and got up in the middle of the night to change him—something I don’t feel I should have to do. Bottom line is I learned my lesson: cheaper isn’t always worth the hassle! This entry was posted in Uncategorized and tagged Charcot Marie Tooth, Charlie Banana, Diapers, Pampers, Target. Bookmark the permalink.